Consensus top pick Christian Standhardinger, barring last-minute surprises, will officially become a San Miguel Beerman at the 2018 PBA Draft on Sunday at Robinsons Place, Ermita, Manila. The seasoned 6-foot-8 Fil-German and Gilas regular will team up with 4-time PBA MVP Junemar Fajardo to form an explosive 1-2 punch for the league's winningest ballclub. Go ahead, let that sink in for a moment. 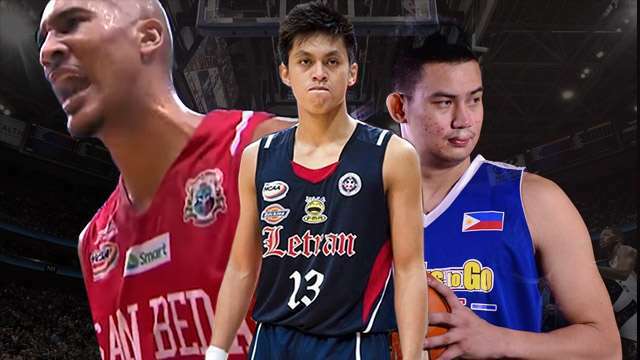 But former UAAP sensations Kiefer Ravena and Jeron Teng, along with these seven other top amateurs from the NCAA and the D-League, are also raring to make their mark in the biggest stage of their basketball careers. Who among them will be the next breakout stars in the league? Born to a Filipina mother in Arizona, the 6-foot-3 Sargent played for Cactus Height in high school and for Phoenix College of the National Junior College Athletic Association Division II before heading to Manila to play three UAAP seasons for La Salle. His stint with the Green Archers was far from eventful, with Sargent playing a minor role under coaches Juno Sauler and Aldin Ayo from 2014 to 2016, his final season of eligibility resulting in a championship. But Sargent's pro potential was seen in the PBA D-League Foundation Cup when his defensive presence enabled Marinerong Pilipino to secure an unexpected semifinals berth. He also made a good impression in the recent Draft Combine where he participated in various drills and scrimmages. The 24-year-old Pampanga native played two seasons for the Arellano University Chiefs in the NCAA as a key presence on both ends of the floor. The southpaw teamed up with Jio Jalalon, Kent Salado, and Dioncee Holts to lead the Chiefs reach the 2016 finals, eventually losing to the San Beda Red Lions. His draft potential grew this season following Jalalon's departure for the pros, producing double- figure rebounding average for most of the season. He also won the league's Slam Dunk Contest, where he showcased his athleticism by leaping over three men in the finals. Teams could make a late first round chase for Flores, particularly those needing rebounding and defensive help. Nambatac has proven to be a capable scorer ever since he suited up for Letran as a high school star in the NCAA. He continued that trend in college, playing a key role in the Knights' Cinderella NCAA title run in 2015 alongside Kevin Racal, Mark Cruz, and Jom Sollano. His role grew following that season, becoming one of the NCAA's best players. 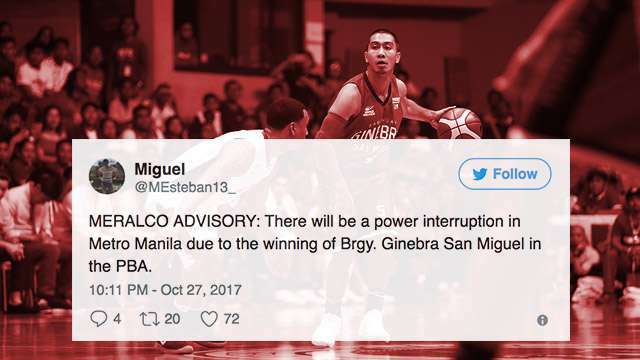 The southpaw guard also showcased his skills in the D-League, last seeing action for Racal in its runner-up finish in last season's Aspirants' Cup to Cignal. The prolific Nambatac, 23, is projected to be another late first-round selection, but don't be surprised if his name gets called earlier than expected. The 24-year-old Los Angeles native played for Cal State Northridge, Cyprus College and Cal State LA before debuting for San Beda in the NCAA last season. Potts immediately made a mark in his rookie campaign with the Red Lions, eventually swishing two three-pointers late that cemented their 2016 title-clinching win over the Arellano University Chiefs in the NCAA finals. Though his lack of playing with San Beda this season may hurt his stock, Potts has shown flashes of promise as seen in his D-League stints with Cignal and the recent Draft Combine. His energy and willingness to defend should attract teams searching both aspects. Herndon's first introduction to local basketball fans came in a Red Bull 3-on-3 tournament in Intramuros, Manila when he beat two-time PBA MVP Willie Miller in the finals. The former San Francisco State cager would soon take his talents to the D-League where his draft commodity rose. He played for Victoria Sports in the Aspirants' Cup, emerging as the lone bright spot for a team that struggled throughout the campaign, before joining Wangs Basketball and Marinerong Pilipino in the Foundatio Cup as one of the league's top scorers. His ability to score particularly from long range was noticeable during the Draft Combine, and could make himself a likely mid-first round choice. Perkins, who was raised in Minnesota to a Filipina mother, made his UAAP debut in 2013, playing a key role in La Salle's UAAP championship victory over University of Santo Tomas. His minutes, however, dwindled until capturing another crown in his final season in 2016. Nicknamed “Hefty Lefty,” his draft status grew in the D-League, first playing for Racal in the 2015 Aspirants' Cup before towing Cignal to the sweep of this year's Aspirants' Cup and Foundation Cup titles. He also starred for SCTEX-NLEX in the recent Merlion Cup in Singapore as the team's top scorer. Known for playing inside and out and can match up against big men on both ends, Perkins is a cinch as one of the first five picks. The Negros-born Jose is one of many diamonds in the rough recruited by Far Eastern University, eventually becoming one of the best amateur talents in the country today. Jose, a hardworking inside operator, immediately made an impact with the Tamaraws in his rookie season in 2013, providing superior interior defense while playing in the shadows of Terrence Romeo and RR Garcia. His role gradually grew, becoming a key member of FEU's 2015 title victory. He later won three D-League titles for Phoenix and Cignal, taking the MVP award in this year's Foundation Cup, played for the Kaohsiung Truth of the ASEAN Basketball League (ABL) and donned the Gilas Pilipinas jersey in its gold medal win in the Kuala Lumpur Southeast Asian Games. With his game continuing to improve, there's no doubt Jose will be a key asset to any team in most need of crafty and tough frontcourt stars. Much has been said of the reputation of one of Alvin Teng's sons as a future PBA star ever since he scored 104 points for Xavier School in a 2011 Tiong Lian Basketball Tournament game. As the face of the La Salle Green Archers, he was key cog in traditional UAAP powerhouse's title-winning campaigns in 2013 and 2016, winning the Finals Most Valuable Player twice while being named to the Mythical Five four times. Teng's offensive prowess was on full display in this year's D-League. He scored 42 points for AMA Online Education in his debut in the PBA's developmental tournament. Had he led Flying V to the Foundation Cup Finals, he would have been the top choice to score another MVP award. A stint with Chooks To Go Pilipinas in the FIBA Asia Champions Cup has also boosted Teng's bid to fulfill high expectations. The son of former PBA star Bong Ravena is perhaps the other best player in this year's draft class, drawing rave reviews for his court smarts and willingness to take over when needed. Since earning the nickname “The Phenom” as a first-year high school star at Ateneo, Ravena has been groomed for bigger things. He won three UAAP juniors championships for the Blue Eaglets under Jamike Jarin, becoming a part of the Blue Eagles' five-peat by winning the last two titles in his first two seasons in college before becoming a two-time league Most Valuable Player. He is the first Filipino basketball player to ever win four Southeast Asian Games gold medals. Ravena saw his PBA potential grew after an impressive campaign for Chooks To Go in the FIBA Asia Champions Cup. NLEX, which will pick second, is excited over the prospect of having Ravena in its fold.